It is officially summer and I love the foods of summer. Yesterday I went to my farmers market and stocked up on some great fruit and veggies for the week. I just came back from a trip to Mexico which was lovely and relaxing. I will have to tell you more about the food and restaurants I checked out later. 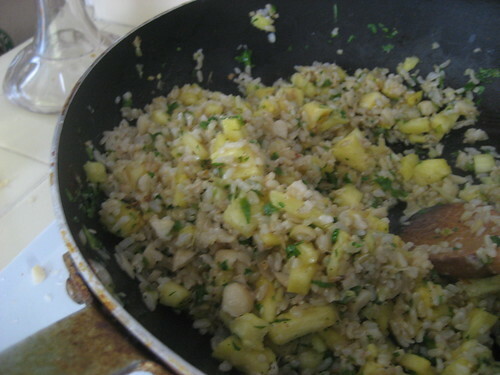 Wanting to keep the tropical feeling going awhile longer I made a batch of Pineapple Stir Fried RIce. I wish I could remember where I originally came across this recipe so that I could give proper credit but it is so good. The combination of the ingredients make for an explosion of flavor in your mouth. It is crunchy, spicy and sweet all at the same time. 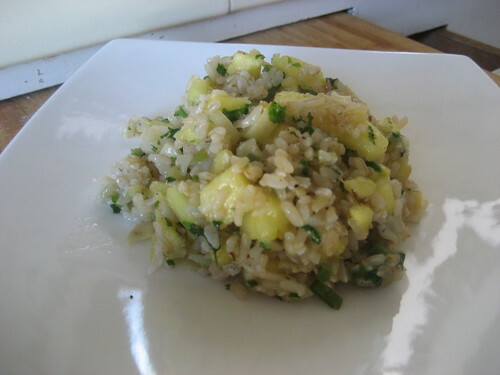 It is great topped with grilled shrimp or alongside grilled fish or chicken. You can chop up all the ingredients ahead of time and then it only takes a few minutes to put together. Heat wok or large skillet over high heat. 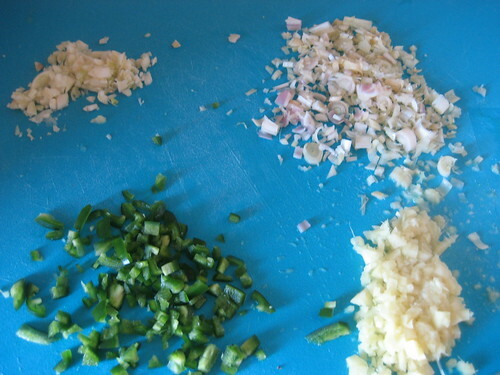 Add the ginger, lemongrass and jalapeno and stir fry 30 seconds. Add the garlic and stir fry 30 seconds. Add the remaining ingredients and toss until heated through.